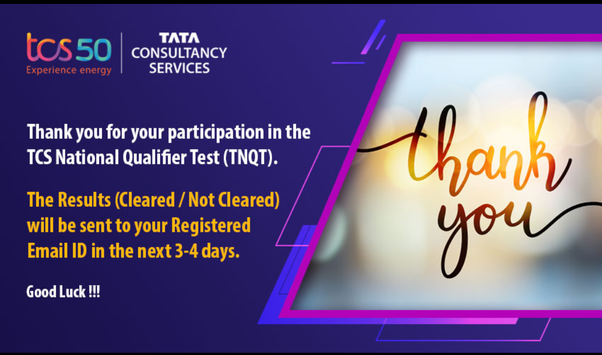 TCS is conducting TCS National Qualifier Test 2018 on 2nd and 3rd September. The registration is already on and there seems to be lot of confusion among the engineering students. Let's attempt at solving all the problems together. Qualification: Only Full-Time Students fromB.E / B.Tech /M.E / M.Tech / M.Sc / MCA are eligible. Part-time students are not being considered. This means that if your aggregate marks are below 60%, you will be disqualified from participating in the exam. A candidate should not have more than 1 pending backlog at the time of appearing for the test. This means if you have one backlog; you can still appear for the test. There's not much clarity on this criteria though. If the University suggests that the course should be completed in 4 years; there's no question of having a gap in the academic years. Let's wait for some clarity on this. How to Register for National Qualifier Test? If you have questions or doubts, post them below, instead of creating a new discussion. You will be taken to https://nextstep.tcs.com/campus/#/mainHome where you will have to sign in your respective CT/DT Reference Number (ID). You may also use your registered email ID. The next step is to fill up the Application Form. Verify that all the details are correct and then submit the form. Do not make mistakes in the form. It's almost impossible or difficult to change it later. Then click on the Apply for Drive. You'll receive a confirmation message that your application was successful. The overall difficultly level of the test will be 'medium' to difficult. This is because TCS will focus on eliminating candidates in the first round of recruitment. @Being - Asking questions with false names is not allowed on CrazyEngineers. You need to update your profile. The eligibility criteria clearly says that you will need an aggregate of 60%+. Calculate your aggregate marks and see if the total is above 60%. If yes, you are eligible, if not; you are not. There is no place for confusion here. @rinu - That is true. This is because a large number of engineers are flooding to the nextstep site to get registered. Apparently, the volume of traffic that TCS expected has exceeded than what they planned for. I think those students who had successfully registered on the portal to avoid the 11th hour rush are in great luck. The deadline for registration is today and I believe the registrations will close by 6 PM. The site is still not working. Can anyone tell if the last date is extended or not? the deadline for TCS ninja has been postponed to 22 Aug 2018. I got this message from my college placement cell. yeah itseems its postponed to 22nd. when will the results of TCS National Qualifier tests be announced for TCS NINJA aspirants of 2018? I don't know if they're announcing the results publickly. My best guess is that TCS will send the invite to further digital recruitment process to everyone who cleared the test. However, I'm *not* sure. The exam is still being conducted and for Students in Kerala the exam will be conducted on September 11. In the mean time, it'd be better to write to careers[at]tcs.com and seek information about the results of National Qualifier Test. 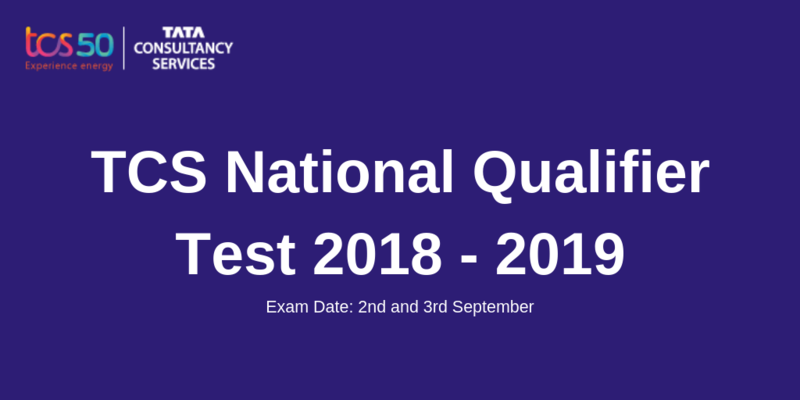 When are the results for tcs national qualifier test held on 3rd September 2018 going to be announced? still i did not get mail of tcs result anyone have idea?? Can I know the resul of national qualifier test? @BHASKAR The results should be emailed to you within 3-4 days of you taking the test. Have you received them yet? Sometimes, the recruitment process is a long one and takes about 15 days to 1 month for TCS to declare the results. I think the results for the TCS National Qualifier test are mostly out for everyone by now. As promised it seems, those who got selected and those who did not have been informed via email. Can anyone share how TCS shared the result with them via email? Tagging @Bansi @Rajbala @BHASKAR here. I'd appreciate if you could post what results you got. Also, did you get called for an interview round upon a positive result? If anyone else reading this has been selected, please do post your preparation process for the test so that others can find help.